Medieval Tower of the Noble Counts. Property 61: Medieval Tower of the Noble Counts. 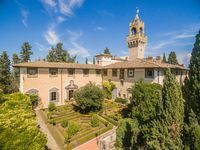 Stunning 9 BR - 8 BA private castle with pool just 7 miles from Florence! 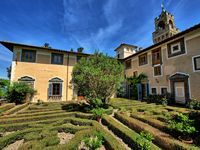 Property 98: Stunning 9 BR - 8 BA private castle with pool just 7 miles from Florence! Posto molto bello, appartamento confortevole. Unico appunto, la reception praticamente sempre chiusa. WOW, WOW, WOW! You will pinch yourself when you walk into this room since it's so spectacular. It feels like a dream! Absolutely such a special place to stay and stunning accommodations! Didn't want to leave!! !